Varicose Veins? Bond Clinic Can Help - Bond Clinic, P.A. Bond Clinic, P.A. Ambulatory Phlebectomy – a minor surgical procedure which allows for the removal of large surface varicose veins through very small incisions that need no stitches. The procedure is normally done in our office using a superficial local anesthetic. Compression Therapy – a common form of treatment which utilizes compression stockings over a period of time. These stockings squeeze the leg and allow the valves to be closer together and function properly. This helps to normalize the blood flow and your legs respond accordingly. Endovenus Ablation – a minimally invasive treatment that uses radiofrequency or laser energy to cauterize and close varicose veins. Our patients are fully awake for this procedure and it is performed in our office. Sclerotherapy – a technique which was developed in the 1950s and 60s to treat veins. It involves the use of an extremely fine needle to inject a tiny amount of a dilute solution (sclerosant) directly into the larger veins. The solution causes the lining of the vein to swell, eventually sealing off the blood vessels and preventing blood flow. At Pacific Vein Care, we use polidocanol as our sclerosant of choice because it is painless and effective. 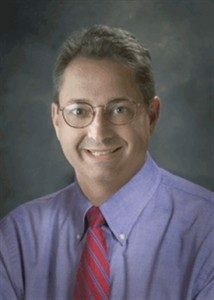 Dr. Iakovidis is Board Certified in Cardiothoracic Surgery and has been with Bond Clinic since 1996. 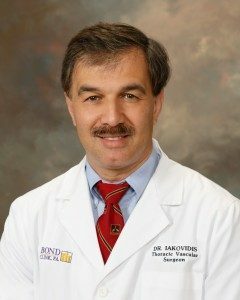 In addition to his role as a thoracic vascular surgeon, Dr. Iakovidis is also President and CEO of the Bond Clinic. Dr. Lambert is Board Certified in Cardiothoracic Surgery & Endovascular Medicine. For more information on varicose vein medical treatment and methods of prevention, please reach out to schedule an appointment with one of our board-certified Vascular Surgeons. Give us a call at 863-293-1191 or visit us online today.